This morning’s papers (August 30, 2018) settle something that we have been debating for a while. A front-page report in the Indian Express says “Police to Court: Those held part of anti-fascist plot to overthrow govt”. We should know by now that we are up against a regime that its own police call fascist. In the India of today, to belong to a minority is a crime. To be murdered is a crime. To be lynched is a crime. To be poor is a crime. To defend the poor is to plot to overthrow the government. When the Pune police conducted simultaneous raids at the homes of well-known activists, poets, lawyers and priests across the country, and arrested five people – high-profile civil rights defenders and two lawyers – on ludicrous charges, with little or no paperwork, the government would have known that it was stirring up outrage. It would have already taken all our reactions into account, including this press conference and all the protests that have taken place across the country, before it made this move. So why has this happened? Recent analyses of real voter data as well the Lokniti-CSDS-ABP ‘Mood of the Nation’ survey have shown that the BJP and Prime Minister Narendra Modi are losing popularity at an alarming pace (for them). This means that we are entering dangerous times. There will be ruthless and continuous attempts to divert attention from the reasons for this loss of popularity, and to fracture the growing solidarity of the opposition. It will be a continuous circus from now to the elections – arrests, assassinations, lynchings, bomb attacks, false flag attacks, riots, pogroms. We have learned to connect the season of elections with the onset of all kinds of violence. Divide and Rule, yes. But add to that – Divert and Rule. From now until the elections, we will not know from when, and where and how the fireball will fall on us, and what the nature of that fireball will be. So, before I speak about the arrests of lawyers and activists, let me just reiterate a few points that we must not allow our attention to stray from, even while it rains fire, and strange events befall us. 1. It has been a year and nine months since November 8, 2016, when Modi appeared on TV and announced his policy of demonetisation of 80% of the currency in circulation. His own Cabinet seemed to have been taken by surprise. Now the Reserve Bank of India has announced that 99% of the currency was returned to the banking system. The Guardian in the UK reports on Thursday, that the policy has likely wiped 1% from the country’s GDP and cost approximately 1.5 million jobs. Meanwhile, just the printing of new currency has cost the country several thousand crores. After demonetisation, came the Goods and Services Tax – a tax that is structured in ways that have dealt a further body blow to small and medium businesses that were already reeling under demonetisation. While small businesses, traders and most of all the poor have suffered enormously, several corporations close to the BJP have multiplied their wealth several times over. Businessmen like Vijay Mallya and Nirav Modi have been permitted to decamp with thousands of crores of public money while the government looked away. What kind of accountability can we expect for all of this? None? Zero? Through all this, as it prepares for the 2019 election, the BJP has emerged as by far the wealthiest political party in India. Outrageously, the recently introduced electoral bonds ensure that the sources of the wealth of political parties can remain anonymous. 2. We all remember the farce in Mumbai at the ‘Make in India’ event inaugurated by Modi in 2016 at which a massive fire burned down the main tent of the cultural festival. Well, the real bonfire of the idea of ‘Make in India’ is the Rafale fighter plane deal, that was decided upon and announced by the prime minister in Paris seemingly without the timely knowledge of his own defence minister. This is against all known protocol. We know the bare bones – a deal had already been put in place in 2012 under the Congress-led UPA government to buy planes that would be assembled by Hindustan Aeronautics Limited. That deal was scrapped and reconfigured. Hindustan Aeronautics was surgically excised. The Congress party as well as several others who have studied the deal have alleged corruption on an unimaginable scale and have questioned the involvement in the “offsets” deal of Reliance Defence Limited, which has never built a plane in its life. The opposition has demanded a Joint Parliamentary Committee probe. Can we expect one? Or must we swallow this whole fleet of planes along with everything else and not even gulp? 3. The investigation by the Karnataka police into the assassination of the journalist and activist Gauri Lankesh has led several arrests which have in turn led to the unveiling of the activities of several right-wing Hindutva organisations like the Sanatan Sanstha. What has emerged is the existence of a shadowy, full-blown terror network, with hit-lists, hide-outs and safe-houses, flush with arms, ammunition and plans to bomb, kill, and poison people. How many of these groups do we know about? How many are continuing to work in secret? With the assurance that they have the blessings of the powerful, and possibly even the police, what plans do they have in store for us? What false-flag attacks? And what real ones? Where will they occur? Will it be in Kashmir? In Ayodhya? At the Kumbh Mela? How easily they could derail everything – everything – with some major, or even minor attacks that are amplified by pet media houses. To divert attention from this, the real threat, we have the hue and cry over the recent arrests. 4. The speed at which educational institutions are being dismantled. The destruction of universities, with fine track records, the elevation of phantom universities that exist only on paper. This is arguably the saddest thing of all. It is happening in several ways. We are watching Jawaharlal Nehru University being taken down before our very eyes. The students as well as the staff are under continuous attack. Several television channels have actively participated in spreading lies and fake videos that have endangered the lives of students, and to an assassination attempt on the young scholar Umar Khalid who has been mercilessly defamed and lied about. Then you have the falsification of history and the idiotification of the syllabus – which will, just in a few years’ time, lead to a kind of cretinism from which we will be unable to recover. Finally, the privatisation of education is undoing even the very small good that the policy of Reservation did. We are witnessing the re-Brahminisation of education, this time fitted out in corporate clothes. Dalit, Adivasi and OBC students are once again being pushed out from institutions of learning because they cannot afford the fees. This has begun to happen already. It is completely unacceptable. 5. Massive distress in the agricultural sector, increasing numbers of farmers’ suicides, the lynching of Muslims and the relentless attack on Dalits, the public floggings, the arrest of Chandrashekhar Azad, leader of the Bhim Army who dared to stand up to attacks by upper castes. The attempted dilution of the Scheduled Caste and Scheduled Tribes Atrocity Act. Having said this much, I come to the recent arrests. The Elgaar Parishad was organised by two eminent retired judges, Justice P.B. Sawant and Justice Kolse Patel. The rally the following day was attacked by Hindutva fanatics, which led to days of unrest. The two main accused are Milind Ekbote and Sambhaji Bhide. Both are still at large. Following an FIR registered by one of their supporters, in June 2018 the Pune police arrested five activists – Rona Wilson, Sudhir Dhawle, Shoma Sen, Mahesh Raut and the lawyer Surendra Gadling. They are accused of plotting violence at the rally and also of plotting to kill prime minister Narendra Modi. They remain in custody, charged under the draconian Unlawful Activities (Prevention) Act. Fortunately they are still alive, unlike Ishrat Jahan, Sohrabuddin and Kauser Bi, who, years ago, were accused of the same crime, but did not live to see a trial. It has been important for governments, both the Congress-led UPA and the BJP, to disguise their attacks on Adivasis, and now, in the case of the BJP, their attack on Dalits, as an attack on “Maoists” or “Naxals.” This is because, unlike in the case of Muslims who have been almost been erased from electoral arithmetic, all political parties do have an eye on those Adivasi and Dalit constituencies as potential vote banks. By arresting activists and calling them “Maoists’, the government manages to undermine and insult Dalit aspiration by giving it another name – while at the same time appearing to be sensitive to “Dalit issues.” Today, as we speak, there are thousands of people in jail across the country, poor and disadvantaged people, fighting for their homes, for their lands, for their dignity – people accused of sedition and worse, languishing without trial in crowded prisons. The arrest of these ten people – three lawyers and seven well known activists – also serves to cut whole populations of vulnerable people off from any hope of justice or representation. Because these were their representatives. Years ago, when the vigilante army called the Salwa Judum was raised in Bastar and went on a rampage, killing people and burning whole villages, Dr Binayak Sen, then the general secretary of the PUCL (Peoples Union for Civil Liberties) Chattisgarh spoke up for its victims. When Binayak Sen was jailed, Sudha Bharadwaj a lawyer and trade union leader who had worked in the area for years, took his place. Professor Saibaba, who campaigned relentlessly against the paramilitary operations in Bastar stood up for Binayak Sen. When they arrested Saibaba, Rona Wilson, stood up for him. Surendra Gadling was Saibaba’s lawyer. When they arrested Rona Wilson and Surendra Gadling, Sudha Bharadwaj, Gautam Navlakha and the others stood up for them… and so it goes. The vulnerable are being cordoned off and silenced. The vociferous are being incarcerated. God help us to get our country back. 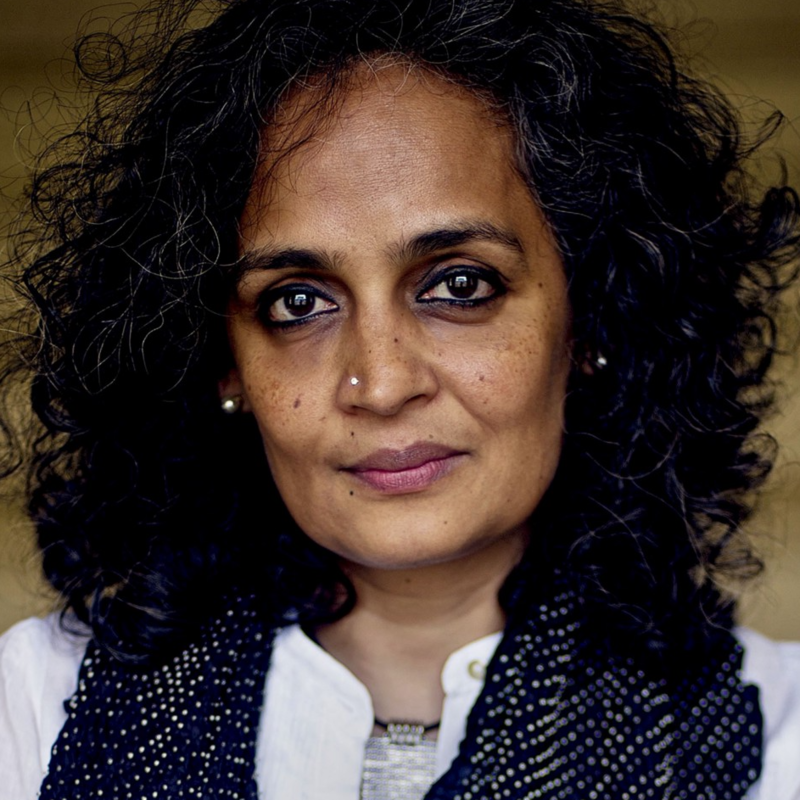 Arundhati Roy is a writer.